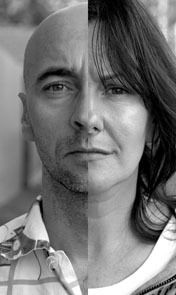 It is a series of portraits showing the way in which couples and their looks correspond to each other.The juxtaposition of the two halves of their faces creates a compromise, like in a relationship. 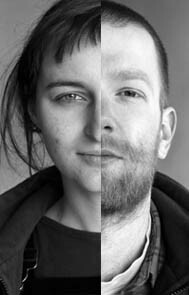 As a result, a surprising third portrait is being created, an entirely new third face. The heroes of these portraits were amazed to discover many mutual features in their faces. They analysed them profoundly and were able to clarify certain aspects of their relationship. 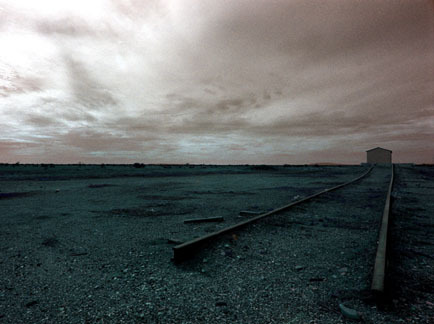 It is a story about Australian landscapes, about open space and about monuments constructed by man in the form of houses, huts, electricity posts, railways. These monuments are fragile and perishable. They prove once again our arrogance towards the power of nature. 1948 Born in Warsaw, Poland. 1970-71 Does his work experience at Kodak laboratory in Paris. 1975-82 Produces film and theatre posters, book illustrations and record covers with major Polish graphic designers. 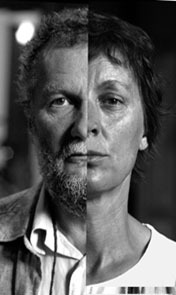 1980 Participates in Biennale de Jeunesse in Paris with two projects. 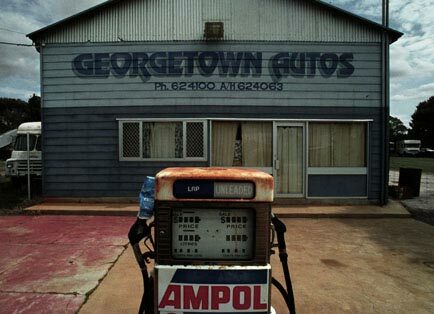 1991&1992 Awarded in Australia as the best advertising photographer of the year. Continues his activity in the area of art photography. Publishes limited editions of author’s books and calenders. 1986 Travels and works extensively outside Australia: in New Zealand, Hong Kong, USA, Belgium, Singapore and Malaysia. Creates surreal illustrations for various children’s books. 1993 Joins the Image Bank. Works for advertising agencies in Poland. Since 1996 Divides his life between Poland and Australia. Works on his new ongoing project “Transparency of Things” which has already been exhibited in three countries.